Price £42,945 Price as tested £52,805 Miles covered 11,149 Official economy 55.4mpg Test economy 40.1mpg Options fitted Technology pack (£1395), parking assistance pack (£1350), comfort and sound pack (£1295), electrically adjustable front seats with driver’s memory (£950), damping control (£900), folding towbar (£850), front sports seats in Milano leather (£750), 19in alloy wheels (£750), Matrix LED headlights (£650), Quantum grey solid paint (£645) and folding door mirrors with auto-dimming and memory function (£325). It’s funny how living with a car can drastically change your perceptions. When I first drove the Audi A4 Allroad way back in 2016, it seemed like an exceedingly niche choice. Sure, it was a little bit more comfortable than the regular A4 Avant and came well equipped, but the four-wheel drive system didn’t do the running costs any favours and it was a lot pricier. Even so, there was something strangely appealing about a slightly jacked up A4 estate with some tough-looking plastic body cladding. Indeed, there was enough of a draw for me to start running one last summer. My 3.0 TDI 218 diesel example may not have been the top of the range (there’s an even stronger TDI 272 available), but an exhaustive plundering of the options list meant it cost around £500 less than the much bigger and more practical Audi Q7. However, although I may have questioned the point of its existence, it fills a particular niche in the range very well indeed. 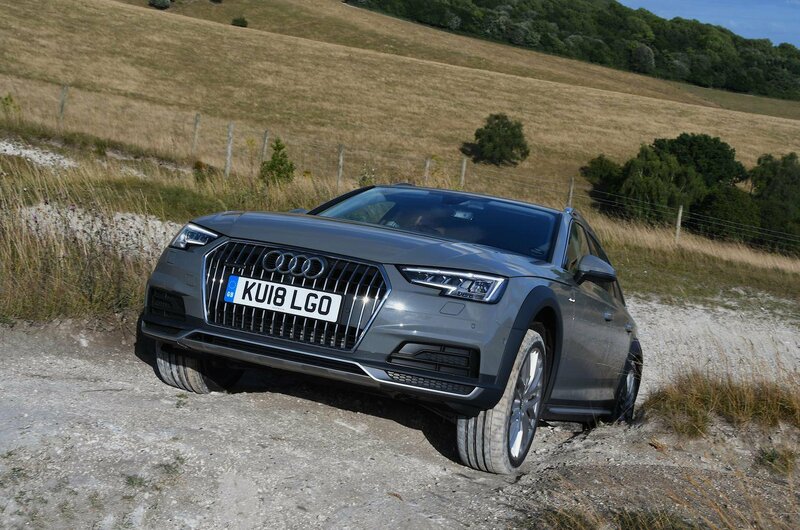 Unlike so many front-wheel drive ‘SUVs’ that couldn’t pull themselves off of a grass verge, the Allroad’s full time four-wheel drive meant traction was never an issue, no matter how grim the weather got. A slightly raised ride height over the regular A4 Avant helped as well although, as I found out, steep slopes can catch the bumpers, causing at best a removable scuff and at worst a grille to pop out. That raised ride height may not have given a truly commanding view of the road, but there’s enough of a lift to improve visibility and for you to feel that little bit higher than you do in regular cars. 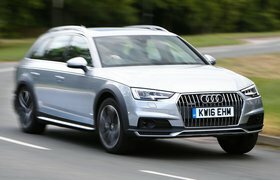 Naturally, this did have an effect on handling with the Allroad feeling less agile than a V6-powered A4 Avant we had in for a group test, but the margins are pretty small. Still, we probably didn’t help matters with the optional adaptive dampers and huge 19in wheels. Although the latter look fantastic (at least to my eyes), this isn’t a box I’d tick if I had my time again. Despite having a delightfully cushioned ride over humps and dips, potholes, expansion joints and other sudden obstacles do thump through the car a little more than I’d like. One thing you won’t find me complaining about is the fuel economy. 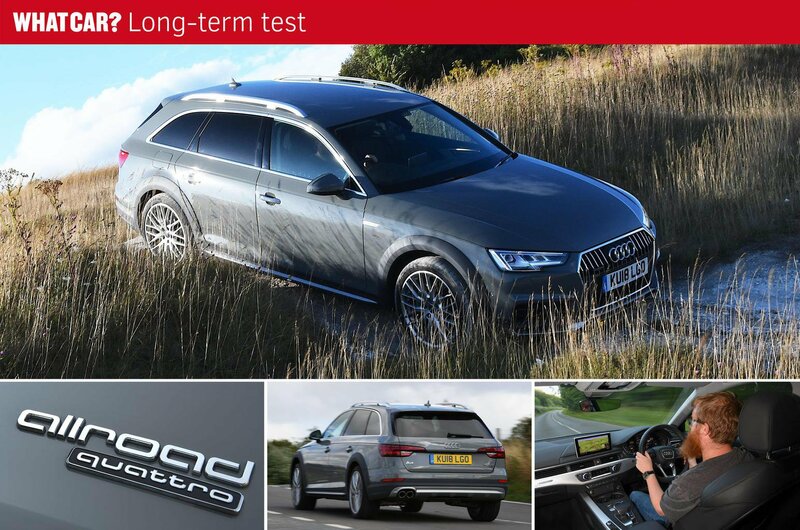 Yes, a front-wheel drive A4 Avant would manage even more, but 40.1mpg is pretty good for a V6-engined four-wheel drive estate that very rarely leaves you wanting for more performance. If I’d have stopped being lazy and removed the roof bars sooner, that figure would have been even higher, too. But there was a good reason for those roof bars; the Allroad just isn’t that spacious for an estate. Although it trumps a BMW 3 Series Touring and Mercedes C-Class Estate at 505-litres with the rear seats up, there are much better options if load lugging is something you plan to do regularly. Indeed, a Skoda Superb Estate not only comes with a gargantuan 660-litre boot, but a four-wheel drive diesel model (admittedly with less power and no raised ride height) will cost you around £8000 less. That is missing the point, though. A Superb might be very well finished for the money inside, but it can’t hold a candle to the dense plastics, expensive looking metal trims and general upmarket ambiance of the Allroad. Factor in the thumping B&O stereo and you’ve got an interior that you look forward to spending a few hours in; just the ticket for long distance drives. As you can see from the image above, that meant plenty of people queuing up to use ‘my’ Allroad for all manner of tasks. So, does that mean my opinion of it has changed? Well, yes and no. While I appreciated the additional comfort the jacked up suspension brought and also the sure-footedness of the quattro four-wheel drive system, a front-wheel drive A4 Avant 40 TDI with adaptive damping would be almost as comfortable and far cheaper to buy and run. That may be the sensible advice, but if the Allroad matches your very specific needs, I suspect you’ll fall for it just as hard as I did.